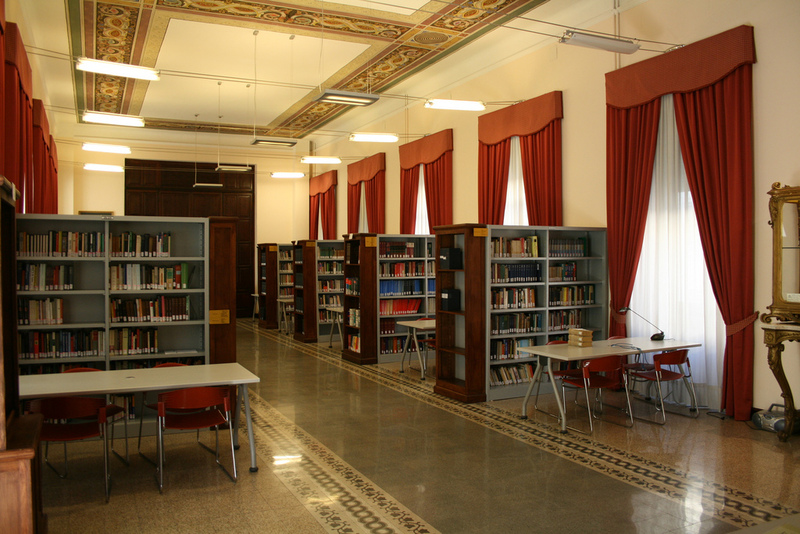 The library of the Pontifical Irish College was founded in 1639 when the College obtained its first permanent home, on Via degli Ibernesi. In 1642 the College received the first of a series of donations of books which form the nucleus of the present collection of antique books. These Latin volumes mostly deal with theological themes and were drawn primarily from the private library of former students such as Fr Pietro Farnese, and John Brennan. During its history the Irish College underwent various upheavals resulting in temporary closures of the library. These included the suppression of the Jesuits in 1772, to whom was entrusted the administration of the College and its closure as a result of the Napoleonic invasion of Rome in 1798. After its refoundation in 1826 the College was once again without a permanent home and its books remained in storage. In 1836 the College moved to the Church of Sant’Agata dei Goti on Via Mazzarino where it remained until 1926 when it acquired its present building on Via dei Santi Quattro. Though the Irish College library exists primarily to serve the needs of the staff and students of the Irish College in recent years it has increasingly opened its doors to visiting scholars and researchers. The Irish College library contains over 15,000 volumes. These include three incunaboli, approximately 300 sixteenth century books which are in a good state of preservation and over 700 publications from the seventeenth and eighteenth centuries. The Irish Room contains the most extensive collection of works on Irish history available in Rome. In recent years considerable work has been done to improve the physical structure of the library. The most significant project to date has been the creation of the Kirby Library which houses the books and periodicals most frequently consulted by our students and also provides a comfortable reading and study space. Considerable repair work remains to be done in other sections of the library. Students or researchers who wish to consult the library should contact the librarian by Fax +39 06 77263323 or e mail library@irishcollege.org It is necessary to provide a letter of introduction.